Hey now, not all righties look down on those with intellectual disabilities. I'm sure there are leftists that feel the same way, just pointing out that TDS is an affliction common to both sides. You cannot even make this crazy stuff up.....Now President Trump may attack Venezuela and democrats are happy about this...President Trump now warns North Korea again after they are rebuilding nuclear buildings...Now it is back to war rhetoric with North Korea and both parties seem happy about it.......Meanwhile Ukraine and Russia are fighting a war.. He isn't a prosecutor, he's an investigator. He was once a prosecutor. And once head of the FBI. I think his record in Boston is appalling. Can't stand the guy and his conclusions on this probe notwithstanding, his over all body of work stinks. Good job AG Barr, working hard to get this much-desired report out to the public. They were an obvious deflection by that goofy hag: Hillary, to not just explain why she wasn't "50 points ahead" but why she lost - LOST - to Trump. Only thing I never understood is why they let that pile of crime keep her ill-gotten 747 on the campaign's dime. She must really think she is special or somebody huh. Well, we sure proved her wrong. I aware of that, I'm also aware that he wasn't acting in either capacity when this report was being prepared. We are so far away from when or if anyone considers high crimes and misdemeanors which is of course a function of the congress. No one yet knows what this report says. One would hope that when the report is released there will be sufficient information provided that all of us will be able to agree with the findings. 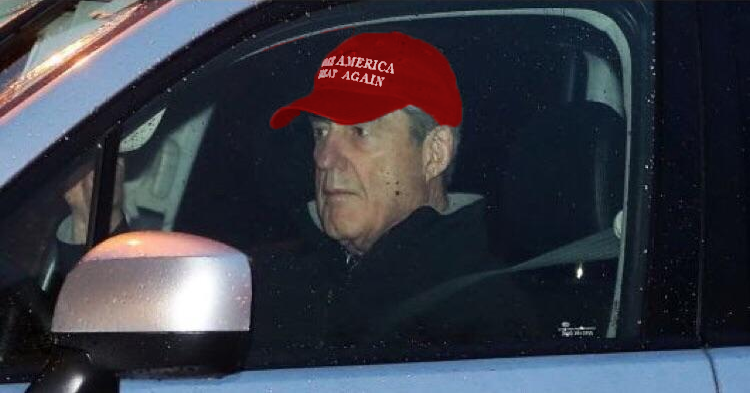 Mueller finishes his report realizing that Trump is 100% innocent and that the DNC cooked this whole thing up...... on his way home after he handed his report to Barr and has officially retired.